Intools training course is designed for instrumentation specialist involved in the definition and specification of instrumentation and control system. +–What is the objective of intools training ? Intergraph’s instrumentation and controls design module is called smart plant instrumentation or SPI. It was previously known as INTOOLS. This course is designed for instrumentation specialist involved in the definition and specification of instrumentation and control system using the smart plant instrumentation software. In this course, students learn how to define the instruments using smart plant instrumentation as per the specifications of project deliverable. 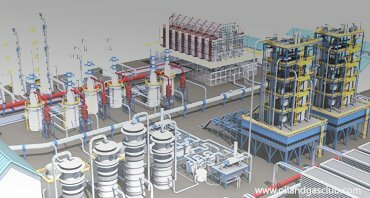 It is intended to cover all of the instrument and control design requirements in a modern industrial plant. It is also intended to be a replacement for AUTOCAD in producing I&C deliverable such as loop diagrams, control wiring diagrams and installation details. +–Who should attend intools training? ▸▾What is INTOOLS v7 & Why is smart plant instrumentation ( INTOOLS ) needed ? Instrument and control design module is called smart-plant or SPI. It was previously known as INTOOLS. It is in-tented to cover all of the instrument and control design requirements in a modern industrial plant. It is also intended to be a replacement for AutoCAD in producing I&C deliverable such as loop diagrams, control wiring diagrams and installation details. This course is designed for instrumentation specialist involved in the definition and specification of instrumentation and control system using the smart plant instrumentation specialist involved in the definition and specification of instrumentation and control system using the smart plant instrumentation software. In this course, students learn how to define the instruments using smart plant instrumentation according to the specification of project deliverable. ▸▾Who are the trainers ? Our trainer has over 11 years of experience in fertilizer, power, pharmaceutical and oil and gas. He has through knowledge of customization of symbols and P&ID creation, wiring and TL generation, spi instrument index spec sheet, process data, SPI hook-up, location layout (instrument, F & G), SPI project set-up, back up, access-right, P-A-C creation, administrator / instructor for intools instrument database, analyze and prepare construction drawings, design documents and material take off for process. ▸▾Pay-scale of Intools Designer ?